Mark you calendars for May 4th - we will be at the Macklin Indoor Chamber Expo! STIHL, CANADA'S #1 SELLING BRAND. Dealer Days on now! to assist you with your financing, as well as comprehensive insurance & warranty packages to provide you peace of mind for your purchase. Since 2005, Dean & Paula Wildeman have owned the business known as Unity Truck & Auto. Aug. 1st, 2017, the business name was formerly changed to JDS RV & POWER SPORT. This name reflects our business expansion; however, we still offer the same great service you know and trust. This expansion includes New & Pre-Owned 5th Wheels and Travel Trailers as well as all varieties of Rainbow Trailers. In addition, the expansion included the inclusion of Kawasaki ATV’s and Side-by Sides. We still carry a line of Ferris Mowers. We offer financing & lease options as well as comprehensive warranty and insurance products on your RV & ATV purchases; giving you peace of mind for your purchase. We also carry RV supplies and accessories, in addition we have now added power sport and RV parts, supplies, accessories, and apparel. 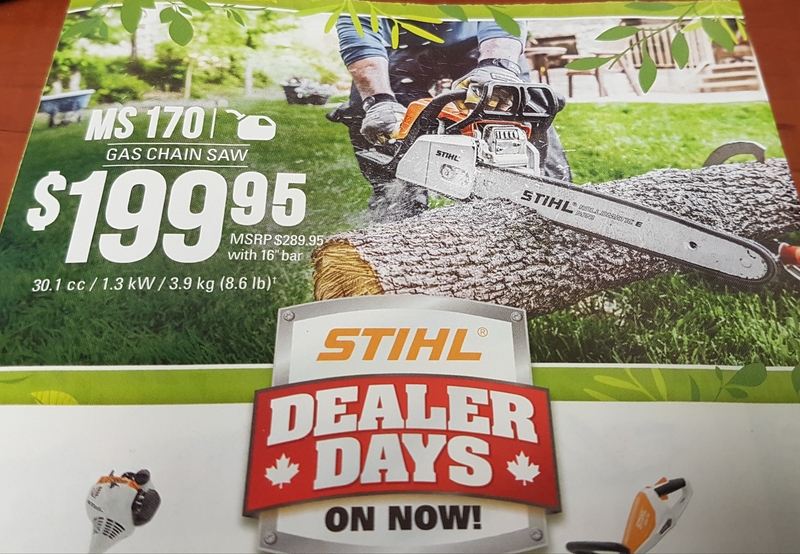 We are a STIHL supplier, Canada's #1 selling power tools. Deb can look after all of your service inquiries and bookings while Ian, our Parts Manager, offers the experience needed to get you looked after with parts and accessories. Our 15,000 square foot building allows us the space for an indoor showroom, multi-unit service bays and ample space to stock more on-hand inventory of the products we sell. We carry trusted brand names like Forest River, Kawasaki, Ferris, STIHL, Quaker State, Grote, Canada Proof and much more. Wayne, Mike, Bill, and Justin have the reliable, long term experience in the service department that our patrons are accustomed to; and Shane is a multi tasker, an asset our shop is lucky to have. Sure Stop Auto Supply now houses the automotive parts plus safety equipment, industrial supplies, welding products, tools and much more. This 4000 sq. foot space allows ample room for our inventory of 1000’s of quality products . There are products easily accessible in our store space for customers to choose what they need for their purchase. Our experienced knowledgable team of both Brenda Pool and Larry Schroh will look after the products you know along with the advice you can trust. Both locations provide a wealth of knowledge and experience while providing the service to the standards our customers know and appreciate. Providing quality merchandise, superior service standards combined with our knowledge and experience has helped create our success in this industry. We choose to be a part of the communities we serve as our employees volunteer with various organizations in their community as well as our business sponsors and or donates to numerous events and activities.